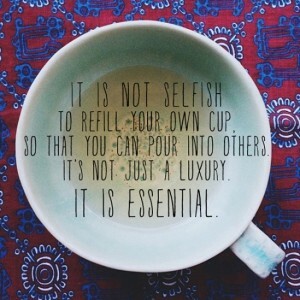 SCHEDULE SELF-CARE: You can’t pour from an empty cup, so it’s time to schedule some self-care. Make it a priority and add it to your calendar. Take a walk, run a warm bath, or schedule a Reiki session. Whatever it is, make it a priority. SUNSHINE & VITAMIN D. Sunshine is a very effective way to boost your vitamin D and support your emotional well being. Even in the winter, going out on a sunny day can make a difference. If natural light is not possible, consider taking a Vitamin D supplement or using a lightbox. GRATITUDE. Our mind tends to focus on the negatives instead of the positives. One way to shift this is to start a gratitude journal. Write down one thing that you are grateful for each day. Looking back at the list after a week or month can be a real pick-me-up. for adding so much to my life. Sending you all health, peace, and love this season. Reiki is a gentle, hands-on form of bodywork that promotes balance, relaxation, and healing. Reiki can help reduce stress and supports your immune system. I offer sessions at my office in Florence, Massachusetts. I am continuing to offer Wellness Consultations both in person and by phone. Call (413) 210-7050 or email krantzwellness@gmail.com with any questions or to schedule a session.You can also keep the conversation going on my Facebook page and get additional information on my website. I want to thank everyone that inspired and supported my KrantzWellness business this year. I love doing this work and I look forward to seeing you in 2018! As a thank you, I am offering a Reiki special of 3 sessions for $150. You can use the sessions for yourself or buy them as a gift (I will provide gift certificates ready to go). This special runs until the end of 2017. This is my way of giving back during this time of year. Wishing everyone peace during this holiday season. You can keep the conversation going on my Facebook page and see additional health tips on my website. A few weeks ago, I tried stand-up paddleboarding for the very first time. This is something I have wanted to try for awhile. I met the group by the shore and noticed that the water was quite rocky and I started to feel ambivalent. Would I be able to find my balance? I began paddling on my knees and wasn’t sure how far I would get. After a few minutes, I gathered some courage and stood up. It was a profound experience. Instead of bracing against the choppy waters, I bent my knees, focussed on my core, and fully experienced standing on an unstable base. I felt truly alive. After an hour of paddling, the instructor gathered us for a yoga practice on our boards. Just as we began, bald eagles took flight overhead. It was one of those moments that catches your breath. Eagles symbolize the courage to stretch limits and look at things from a higher perspective. Eagles are patient with the present and know that the future holds possibilities that we might not yet be able to see. It is about taking flight. I have been struck by how this experience parallels other challenges in life. We are in the midst of some truly difficult times. Finding moments to come home to our center during these struggles can be a refuge. Where is one place you can find refuge in the rocky waters? Where can you stretch your limits? Be courageous? Take flight? What are your dreams for the year? What do you want to accomplish, create, add or let go of? Dedicating time to map out your goals can be a powerful way to create needed momentum. Here are a few of my top tips to get you started. 1. Write it down: The power of paper and ink. We see things differently when we put our goals down on paper instead of holding them in our mind. Get a piece of paper and a pen (or sit down at your computer) and write down what you want to accomplish. This can include what you want to add, let go of, or create. It is best to make this a two step process. First, give yourself the freedom to write down all that comes up when you ask these questions. Second, identify the top 1- 3 areas you want to focus on before the end of the year. 2. Small and Attainable: Now that you have identified your top areas that you want to work on, come up with small and attainable action steps. Make them clear and detailed and things that you can accomplish soon (ie. this week). Don’t forget to add them to your calendar. 3. Accountable: Having someone to hold you accountable can keep you motivated and on track. Who will call or email you to check on your progress? Do you have a family member or friend to help you track your progress? A health coach can also play this role. 4. Celebrate: Celebrate your success. It is really important to acknowledge the steps you are taking to reach your goals. Don’t wait for the finish line, celebrate along the way! I want to thank everyone that inspired and supported my KrantzWellness business this year. I had another successful year and I truly look forward to another year of KrantzWellness. In addition to seeing individual clients, I plan to offer group programs and workshops this year. More news and details coming soon! There is no denying it, the holiday season has arrived. 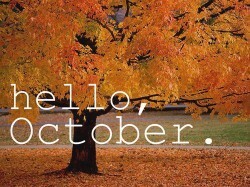 This time of year can bring more travel, shopping lists and day to day responsibilities. These shifts can easily throw us off balance. Maybe you don’t have as much time for exercise, cooking, self-care, and down time. 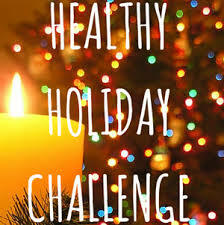 So often I hear, “I will get back to myself in January.” I am offering a simple holiday season challenge. It includes 4 tasks that take a total of 15-20 minutes per day. Are you in? 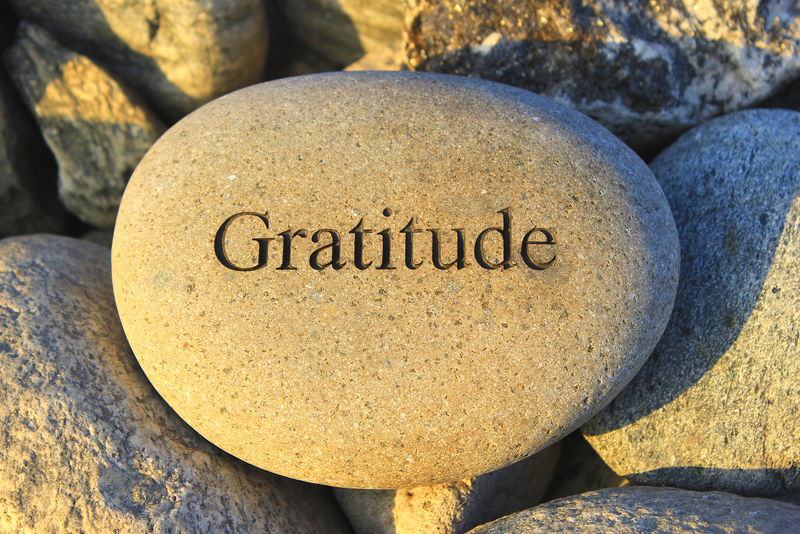 Gratitude: Start each day by writing down one thing for which you are grateful. Keep a running log and do your best not to repeat. I would suggest doing this first thing in the morning or before bed at night. Click here for more gratitude tips. Water: Staying hydrated will support your immune system, help reduce overeating, and help flush your system from excess holiday food and drinks. Fill bottles in the a.m. and sip water throughout the day (this is better than drinking a large glass in one sitting). This time of year, I also suggest room temperature or warm water and feel free to add lemon or other citrus to flavor. Click here for more hydration tips. Moving Your Body: I suggest taking a brisk 15 minute walk every day. If the weather cooperates, go outside so you also get some fresh air. Even a daily brisk walk will help flush your system, clear your mind, and help your immune system. Sit Down to Eat: I suggest trying to sit down when you eat as often as possible. This helps to focus your attention on what you are putting into your body and gives you a break from the busyness of the day. Don’t be hard on yourself if you find yourself eating on the run, just try and make time for more sit down meals. Are you looking for some inspiration for what should go on your plate? Click here for some recipes to inspire. Here’s to finding the moments! Heat up the Body – This includes drinking warmer liquids, eating warmer foods (both temperature and spice), and getting some regular exercise. This is an easy way to fight off colds and flu and to help your body adjust to the cooler temperatures. For more food tips, click here. 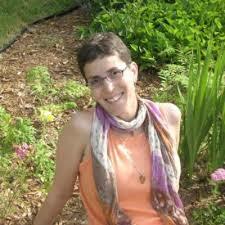 I am a Health/Wellness Coach and Reiki Practitioner. I offer individualized programs for people who want to improve their health and reduce stress in their lives. I work with a wide range of clients and I offer expertise in the areas of self-care for parents, allergies, stress reduction, immune support, and incorporating whole foods into one’s diet. My clients are people who want to feel better and my coaching program assists them in this journey. I truly love working with my clients. The process of working closely with others to help them transform their lives in a viable way is inspiring. I also appreciate the flexibility of owning my own business and the freedom to do the work that is my passion. What differentiates you from other coaches? I bring a wealth of life experience, both personal and professional, to my coaching process. In addition, I am a Master Reiki practitioner and find that this is an invaluable tool that I can use to help facilitate change and support my clients. Reiki is a gentle, hands-on energy work that promotes balance and health. This combination of coaching and energy work has been very effective in helping clients to create sustainable change. What values are important to you when working with clients? The core value of my work is bio-individuality. You can’t go anywhere these days without being told what you should or shouldn’t eat or do to improve your health. Each new approach declares that it has the answer to your health concerns. The problem is that these one-size-fits-all solutions are short sighted. Each person is unique, with different needs that can change over time. Following a one-size-fits-all approach encourages this disconnect between your own intuition and what your body needs to find balance. My work focuses on learning to turn inward so that we can listen to and trust our own intuition and find our own paths. This process supports long term sustainable changes both on a physical and emotional level. I love cross country skiing, cooking, reading, and spending time with my family. If you would like to learn more and see if my coaching services match your needs, please contact me to schedule a free consultation. I was recently interviewed by the Western Mass Coaching Alliance. Do you want to know why I got into coaching, how I differ from other coaches or what I do for fun? Here is the current Q&A posted on their site. Enjoy! What type of coaching do you offer and to whom? Why did you get into coaching? What motivates you? I bring a wealth of life experience, both personal and professional to my coaching process. In addition, I am a Master Reiki practitioner and find that this is an invaluable tool that I can use to help facilitate change and support my clients. Reiki is a gentle, hands-on energy work that promotes balance and health. This combination of coaching and energy work has been very effective in helping clients to create sustainable change. Concrete strategies for dietary and lifestyle changes. Creative solutions to reduce stress. An understanding of the mind/body connection. Gentle accountability and between-meeting support. A full toolbox of resources to implement your INDIVIDUALIZED roadmap.